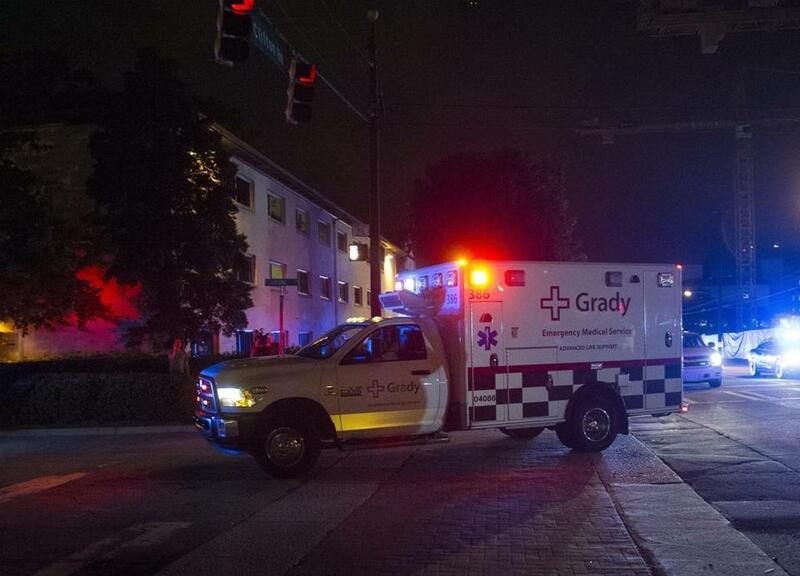 Ebola victim Amber Joy Vinson was brought to Emory University Hospital for treatment in Atlanta, Georgia. WASHINGTON — Ebola started as a faraway thing, and that was scary enough. Then it jumped to a Dallas hospital, where one man died and two nurses were infected. On Wednesday, Ebola took a different kind of leap — a psychological one — as concerns spiked nationally about how the threat of the virus might interfere with commerce, health and even daily routines. As authorities disclosed that an infected nurse had taken a flight from Cleveland to Dallas one day before showing symptoms, Ebola moved closer to becoming the next great American panic — an anthrax or SARS for the social media age. Across the country, workers and travelers took symbolic safety steps, wearing sanitary masks or lathering with hand sanitizer. Airline stocks fell as investors bet on a slowdown in travel due to Ebola concerns. Children living near the Washington area’s Dulles International Airport told a psychologist about their fears of contracting the disease. Though its dangers are real and terrifying, epidemiologists and other authorities say that, for now, Ebola’s greatest mark could be on the psyche of the country where other health threats are more perilous. A look at the first case of Ebola to be diagnosed in the US. In Montgomery County, Maryland, meanwhile, health officials have been reminding the public that there were 36,000 deaths in the country during flu season last year. ‘‘I urge individuals to try to keep this in perspective. It [Ebola] is scary, it is worrisome, but in our country, more people will die from the flu than from Ebola,’’ said Montgomery Health Officer Ulder Tillman earlier this week. Still, all over the country, Americans expressed deep anxiety about the threat of Ebola. According to a new Washington Post-ABC News poll, two-thirds of Americans are now worried about an Ebola epidemic in the United States, and more than 4 in 10 are ‘‘very’’ or ‘‘somewhat worried’’ that they or a close family member might catch the virus. Michael Luke-Anthony, who cleans the cabins of airplanes at John F. Kennedy International Airport in New York, said he watches Ebola news daily when he wakes up and has taken to taping his pant and shirt sleeves — a way to prevent skin exposure. Last week, 200 airline cabin cleaners refused to report for work at LaGuardia Airport in New York, saying they did not have sufficient protection. Michael Oberschneider, founder and director of Ashburn Psychological and Psychiatric Services, in Ashburn, Virginia, said that some of his child and teen patients have said they are fearful of visiting Texas or going to Dulles Airport, both of which they view as potential danger spots. 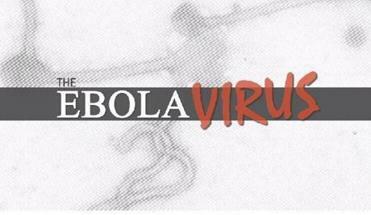 Even relative to other diseases, Ebola is positioned to maximize fear. More than half who get sick don’t survive. Some cases come with painful hemorrhaging. Health workers attend to patients — or bodies — in protective gear that brings to mind a nuclear disaster. Adding to public angst is declining confidence in top disease officials, who have repeatedly asked for calm while also edging away from their initial and most confident pledges that the outbreak would be easily contained in the United States. ‘‘We’ve had a number of chinks in the armor’’ in stopping the spread, said Eden Wells, a clinical associate professor of epidemiology at the University of Michigan. But, Wells said, ‘‘the risk is still low — even for those sitting on the plane’’ with the health-care worker from Dallas. So far, the travel industry has appeared particularly vulnerable to the Ebola fears, with airplanes being the most obvious pathway for contagion. Airline stocks have been falling ever since worries about the virus began to spread this summer. Delta, United and Southwest stocks have all tumbled more than 5 percent this month. Thomas Frieden, director of the Centers for Disease Control and Prevention, said Wednesday that it wasn’t appropriate for the now-infected health-care worker to have flown Monday, a time when she had a low-grade 99.5-degree fever. Public school systems across the Washington region have increased their monitoring, invariably prudent measures that nevertheless might stir additional anxiety. Those who show up at school health centers in Fairfax County, Virginia and Montgomery County now face questions about their recent travel histories. John Torre, a Fairfax County schools spokesman, said that his school system has also added a new section to student enrollment forms inquiring about recent travel to and from West Africa, including to countries such as Liberia, Guinea and Sierra Leone where the outbreak has been concentrated. The enrollment forms now ask if students have traveled to West Africa in the previous 21 days or if a family member has visited there in the previous 40 days. In Dallas, perhaps most of all, the concerns feel very real. Eric Williams, who’s running an independent campaign for Congress, said stores in Dallas are selling out of hand sanitizer. The candidate has suggested a citywide ‘‘no-contact’’ policy: no handshakes, no hugs. The Dallas hospital that treated Duncan has seen one of the strongest local impacts. On Wednesday, at Texas Health Presbyterian Hospital Dallas, only three or four children were at an infant and child day-care center. It was a cloudless day, but on a baseball-field size playground outside, there was nobody to be seen; the tricycles, slides and plastic toys — all untouched. The only sign of life: one crow, sitting on a fence. Washington Post staff writer Amy Ellis Nutt in Dallas, and Post staff writers DeNeen Brown, Mark Berman, Bill Turque, Lydia DePillis and Roberto Ferdman in Washington contributed to this report.